TORONTO, CANADA – Robert Friedland, Executive Co-Chairman of Ivanhoe Mines (TSX: IVN; OTCQX: IVPAF), and Lars-Eric Johansson, Chief Executive Officer, are pleased to announce that Yufeng “Miles” Sun, President of CITIC Metal Group Limited, and Tadeu Carneiro, former Chief Executive Officer of Brazil-based Companhia Brasileira de Metalurgia e Mineração (CBMM), have joined the Ivanhoe Mines Board of Directors. The new appointments, which became effective earlier today with the closing of a C$723 million equity investment in Ivanhoe by CITIC Metal Africa Investments Limited, expand the Ivanhoe Board to 11 members. Mr. Sun and Mr. Carneiro were nominated by CITIC Metal Co., Ltd. pursuant to the terms of CITIC Metal Africa’s equity investment and acquisition of an approximate 19.5% interest in Ivanhoe Mines. 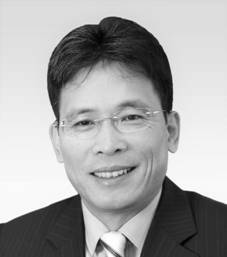 Mr. Sun has been appointed Non-Executive Co-Chairman of Ivanhoe Mines. Mr. Sun joined CITIC Group Corporation in August 1987 and managed the company's trading business in the United States for five years. He joined CITIC Metal Co. in April 1999 and served as its General Manager and Chairman between January 2003 and November 2016, during which CITIC Metal Co. developed into a major commodity trading and mining investment arm of CITIC Metal Group. Mr. Sun also holds directorships in several other mining, processing and trading companies, including China Platinum Co. Ltd., Western Superconducting Technologies Co., Ltd., Companhia Brasileira de Metalurgia e Mineração (CBMM), and MMG South America Management Company Limited, which owns the Las Bambas copper project. Mr. Sun holds a Master of Business Administration degree from the University of Delaware and a Bachelor of English Literature from Shanghai International Studies University. Mr. Carneiro is CEO of Boston Electrometallurgical Corporation, an invited lecturer in the Department of Materials Science and Engineering at the Massachusetts Institute of Technology (MIT), and a part-time lecturer in the Department of Mechanical Engineering at Tufts University, also in Massachusetts. Before his retirement as CBMM’s CEO in 2016, Mr. Carneiro spent 30 years with the company in progressively senior leadership positions. CBMM provides approximately 80% of the world’s niobium metal and its basic alloys, which are used in pipelines, and heat-resistant superalloys that are used in jet engines. 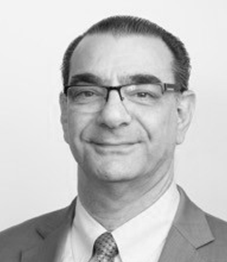 Mr. Carneiro is a Fellow of the Institute of Materials, Minerals and Mining in the U.K., and is a board member of Sigma Lithium Resources in Canada. Ivanhoe Mines is a Canadian mining company focused on advancing its three principal projects in Southern Africa: The development of new mines at the Kamoa-Kakula copper discovery in the Democratic Republic of Congo (DRC) and the Platreef platinum-palladium-nickel-copper-gold discovery in South Africa; and the extensive redevelopment and upgrading of the historic Kipushi zinc-copper-germanium-lead mine, also in the DRC. © 2019 Ivanhoe Mines Ltd.
By providing your e-mail address, you are consenting to receive press releases, quarterly and annual reports, presentations and other information concerning Ivanhoe Mines Ltd. and its affiliates and partners.